Enjoying life in Southern Burgundy in and around the stunning Saône-et-Loire countryside. I created this blog to promote what Southern Burgundy has to offer: great way of life, beautiful countryside, fantastic weather and many colourful villages and towns to explore. A day in the life of a property finder. However, at closer inspection the role of a property finder is a lot more complicated than that. My clients are not just asking me to find them a property, they are asking me to find them a home, which is much more delicate and which usually leads to finding them a new life altogether. Get this wrong, and you will have unhappy clients on your hands! The key to a successful search is to spend a long time getting to know your clients and building up a relationship. This can be over a period of several months, via emails and telephone conversations. 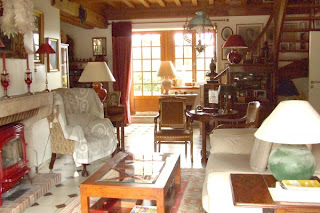 It may just start out with giving them some information on the area, or about property prices, then sending them my newsletter to keep them in the loop of what is happening in Southern Burgundy. What is the best way to travel to the UK from France? I suppose this question all depends on where in France you live and how many people you need to take with you! In my case I was travelling with my husband, baby daughter and my mum, so after looking into all travel options we decided on driving to Calais then taking the ferry on the way there as this would give us a good break from the car and would be an adventure for my daughter who is 2 1/2! We took the Eurotunnel on the way back where we were also allowed to catch an earlier train, very flexible journey! This was also the cheapest option because we were four people travelling and even though it takes longer in time than flying from Lyon, I will definitely be doing it again, as the roads from where I live in Burgundy just 20 minutes from the A6, are a dream with hardly any traffic and with two stops for a coffee and to stretch our legs it took us a comfortable 7 hours to arrive at Calais, where we were able to catch an earlier ferry and arrive at Dover for 4pm UK time. This was when the fun started as instead of a 2 hour journey to Hampshire it took us over 3 hours as we had the pleasure of travelling on the M25... However we still made good time and we thoroughly enjoyed seeing the family for a few days and visiting Peppa World near Southampton! Another benefit of taking the car is that you can bring back lots of goodies that you just don't get here in France! My list consisted of: Galaxy chocolate, Cadbury's giant buttons, Soreen malt loaf, Fox's biscuits, blue WKD and lots more bad things for your health and waistline! I wonder how long my stock will last! That's what I love about this part of France, we are not too far to travel by car, but also have Lyon airport just over an hour away, or the Eurostar from Paris which is just an 1 1/2 direct train ride from Macon, making being away from my family that little bit easier as I know I am just a short journey away from them whenever I need! The hidden treasures of Southern Burgundy revealed! 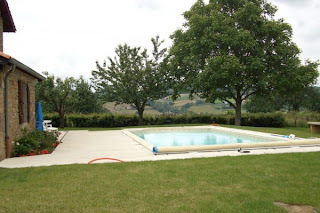 This month I have decided to show you what you can get when you have a very good budget of just under 400K in this area of Burgundy. True there are lots of properties that can be purchased for less than 150K, but I could not resist showing you this property at it is located in the beautiful area of Matour which is in the Clunisois region with all commodities in the village. The property is a traditional old farmhouse which has been fully renovated with style retaining its original features creating a welcoming atmosphere. The house offers 170m2 of living space with fitted kitchen, large living room with open fire place, and four good sized bedrooms. The outside space that comes with this property does not disappoint with 1,300m2 of well maintained gardens with stunning views over the Burgundy countryside, swimming pool and a large barn. The property has an asking price of 389,000€. 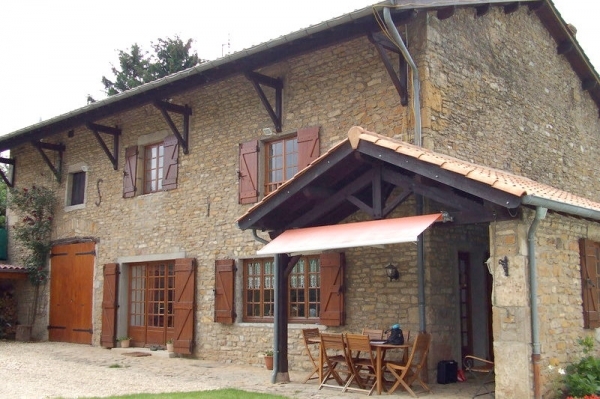 Should you wish to find out more about this property or what else is on offer in this part of Burgundy then please get in touch! The French health system has lived up to its reputation! I have always known that the French health system was good, but until now I have not really had the full experience. That was until I could no longer put up with my back pain and so took some time out and went to my local GP in the village where I live. I have had problems with my back and neck since I was 14! I have tried every treatment from physio to osteopaths to acupuncture, all which are rather expensive in the UK and need to be maintained regularly. Not once in over 15 years did any doctor or specialist in the UK suggest having a full scan of my spine and neck, but just one visit to the GP here in France and he had me shipped off to a radiologist for a full scan which I was able to book the following week - no waiting around! The service was impeccable in a modern clinic and I was even given my scans to take home with me! The cost was 150€ which is fully reimbursed through my carte vitale (health card) and my mutuelle (health insurance). The scan showed that my neck and spine were too straight among other things which explained why I was permanently suffering - this in itself was such a relief as I finally had an explanation for my pain! Once the doctor had seen the scans he gave me a prescription which referred me to a kiné (physio) for as many appointments as was necessary. I had expected this to be another expensive affair but kiné are on the same level as GPs and so are 100% reimbursed just with the carte vitale! And to top things off there was a kiné in my village so 2 minutes on foot from my house - that is what I call a luxury as I am used to having to at least take the car in the UK to get to a specialist. I have now had 5 appointments with the kiné - twice a week and have only just been asked to pay - 80€ for the 5 appointments... which will be back in my bank account by the end of the week! Not only does the kiné have a modern office with fabulous views over the Burgundy countryside but also a gym area with lots of sports equipment which I will soon be making the most of so that I can strengthen my back muscles, again 100% reimbursed! Finally I feel confident that I can get my back problems sorted and that help is on hand just up the road and for free should I ever need it in the future. All of this in a small village in the heart of the Burgundy countryside, now that is what I call an impressive service! 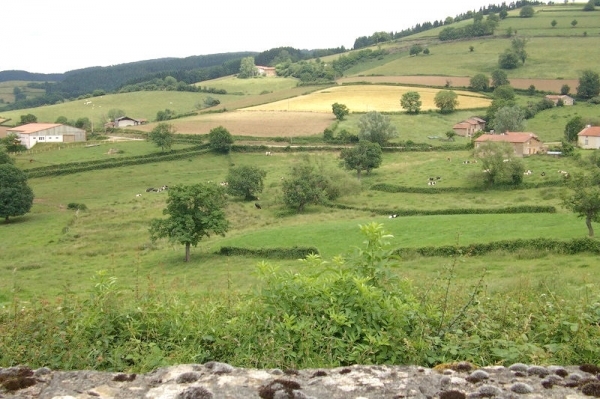 Summer issue of Burgundy Relocation's newsletter - happy reading! A friend in need - is a pain in the neck!